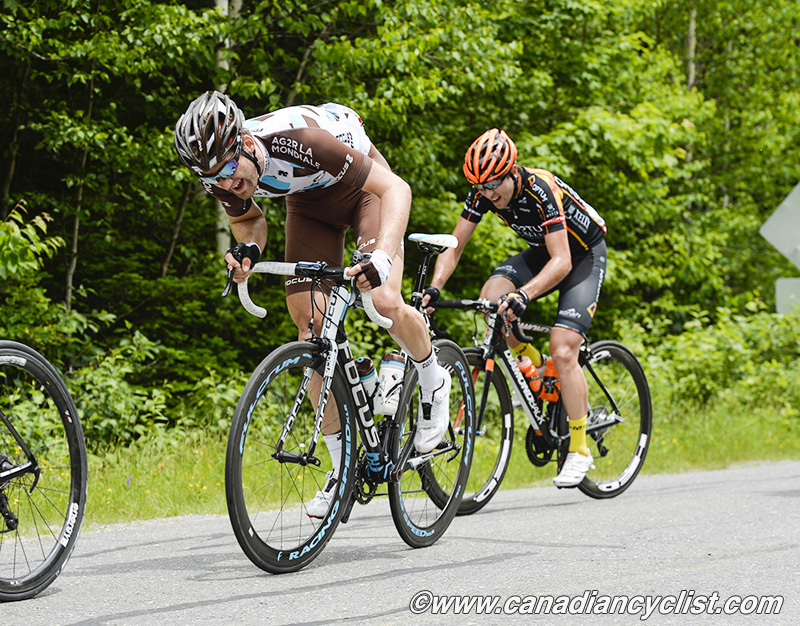 Two of Canada's top road pros have launched appeals against the policy for carding funds which will be applied in 2015. 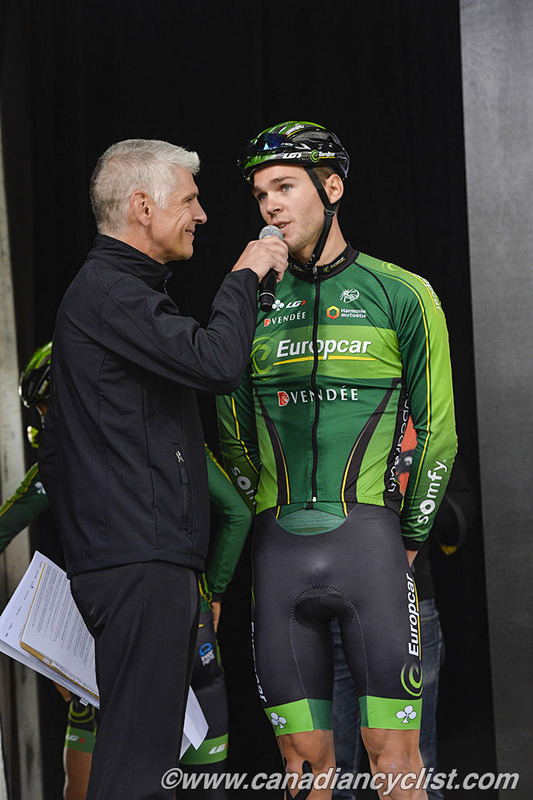 Hugo Houle, who races for AG2R La Mondiale, and Antoine Duchesne (Team Europcar) spoke with Radio Canada. Cycling Canada will not comment during the appeal process. Through Sport Canada, Cycling Canada provides financial assistance to a number Canada's top cyclists via 'Carding'. The goal is to assist athletes so they don't have to take time away from training and competition to work. Athletes become eligible if they meet certain performance criteria, which vary across disciplines. A Senior Card provides $1500/month ($18,000 annually) in assistance, a Development Card $900/month ($10,800 annually). Under Sport Canada rules there is not a cut off for professional athletes, however, they recommend that an athlete with annual income after sports expenses of $50,000 or more decline support. Cycling has had certain professionals receive funding despite the fact that they have full time salaries. Some athletes, like Svein Tuft and Catharine Pendrel, have returned their funding to be used by other athletes, but there has been no requirement, and some athletes have kept the monies. Road elite or U23 men athlete having signed a contract for the 2014 season with either a UCI sanctioned Pro-Continental or World Tour team are not eligible for Sport Canada AAP funding support. This would make both Houle and Duchesne ineligible for carding, and both have appealed. Duchesne had his hearing last Thursday, and Houle will have his heard this week. According to the Radio Canada report, both argue that they are still early in their careers and still need the support as they develop, for things such as coaching expenses and establishing themselves in Europe. "An athlete who makes more than $50,000 net after expenses in his sport is not eligible, which totally makes sense," said Duchesne to CBC Sports Québec. "We still need to prove ourselves and we still need this help, which provides stability while we're at training camps abroad so we can continue to develop and end up with a good contract so we will no longer need this help." Duchesne told Radio Canada that the carding funds represent between 30% and 40% of his annual budget. Download the 2015 Carding Criteria Here. Read the Radio Canada report Here.